2ptools provides MATLAB toolboxes for processing two-photon microscopy imaging time series measurements. The current versions of these toolboxes accept MESc files produced by the MESc measurement control software from Femtonics Ltd. The NRMC (Non-Rigid Motion Correction) toolbox performs imaging time series registration and motion artefact correction. 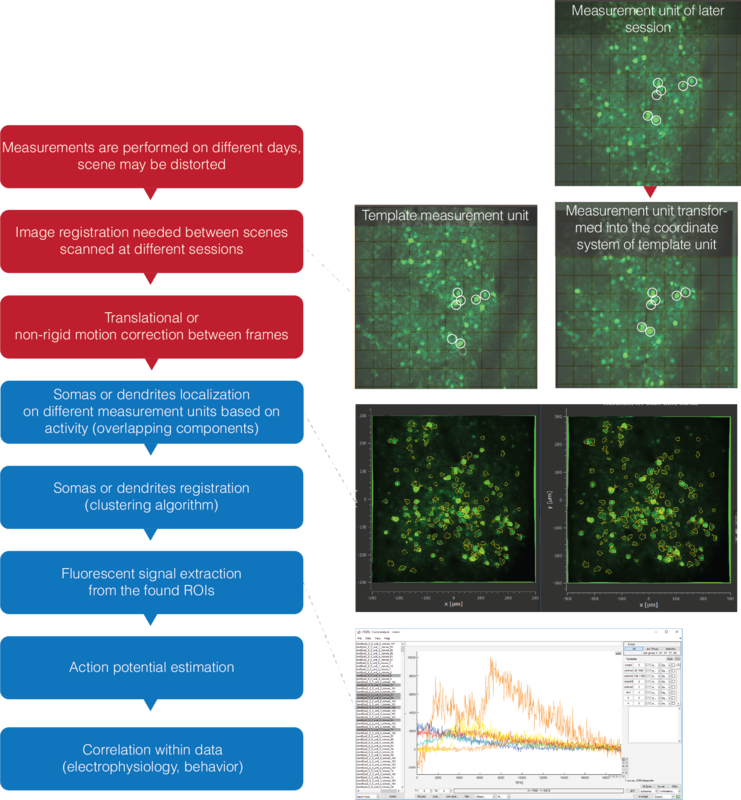 The CLI (Cell Localisation and Identification) toolbox performs cell localisation, component registration and Ca signal extraction on motion corrected imaging time series. The software provided on this website was developed by the research group of Gergely Katona at the Faculty of Information Technology and Bionics of the Pázmány Péter Catholic University in Budapest, Hungary. The development was funded by the Hungarian Brain Research Program under contract number KTIA_NAP_12-2-2015-0006. These tools use state-of-the-art algorithms as well as own software codes.